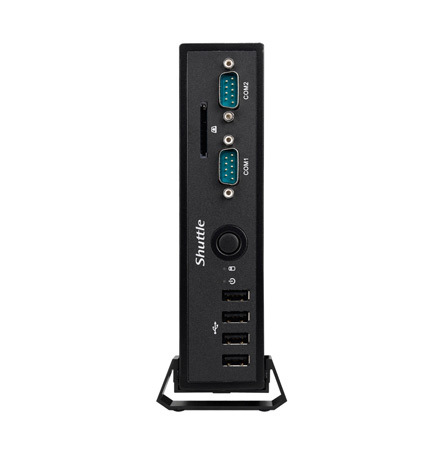 Shuttle’s DS47 is an ultra-slim, energy-efficient, and full HD digital signage media player, built-in RS232/RS422/RS485, USB 2.0&3.0 and dual Gigabit-LAN dedicated interfaces, you can easily connect a variety of peripherals. 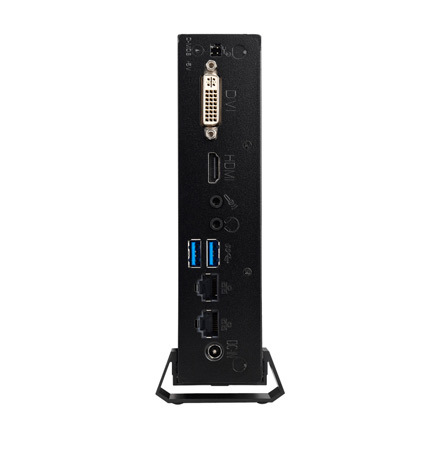 The DS47 is equipped with Intel® high-performance Celeron dual-core processor, provides HDMI, DVI-I output interface, support dual display function; the exclusive integration of low-power design and fan-less cooling, body thickness of less than 40mm, only use 65W adapter to keep system long time operation, and compared with traditional PC can also be reduced by nearly 40% noise. Customers can have lower energy consumption and reliable silent system for their digital signage solution. 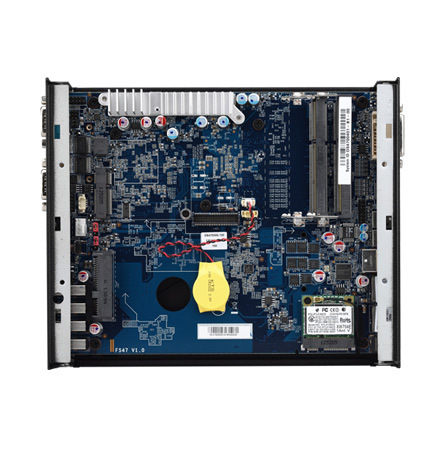 Shuttle DS47 is equipped with Intel® high-performance Celeron 847 1.10 GHz dual-core processor, built-in Intel® HD Graphics, memory support up to DDR3-1333 16GB capacity, can play a variety of Full-HD/ 1080 P high definition video format content. The DS47 uses ideal cooling thermal module with cooled heat pipes that can transmit heat to the whole cooling module quickly and evenly. It can be achieved high cooling efficiency without cooling fans. Combined with precisely vent design, the waste heat inside the computer can be moved out quickly. 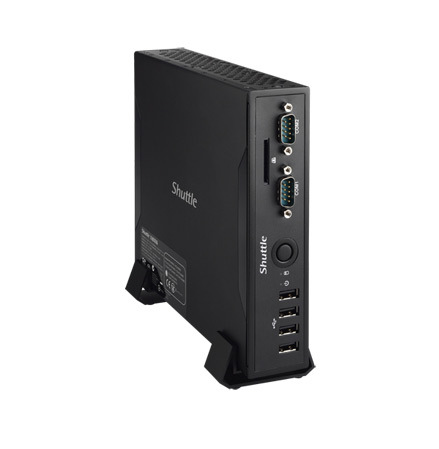 Shuttle DS47 built-in RS232/RS422/RS485 dedicated interface, four USB 2.0 ports at the front panel, and two USB3.0 ports at the rear panel can easily connect to peripherals such as thermal printer, label printer and bar code scanner. It offers a wide range of vertical applications. 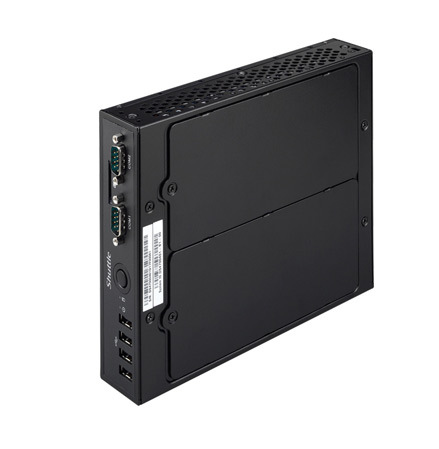 The DS47 provides HDMI and DVI-I dual display output interfaces, built-in Intel® HD graphics, greatly upgrade digital signage display quality. The compact body of the DS47 has multiple screw holes specially designed on the side of the body. This design not only complies with international VESA Mount Standards, but also allows users to choose the most appropriate back hanging configuration and placement under different environments. This space saving capability is well-suited for application of digital signage with limited space. The DS47 has built-in dual LAN, supports 10Mb/s, 100 Mb/s, 1000 Mb/s high-speed transfer capacity, and Wake On LAN function; built-in IEEE 802.11b/g/n wireless network card, the maximum transmission rate of up to 300 Mbps. It significantly enhances the digital signage system data transfer efficiency and save the operating time. Shuttle DS47 is officially approved for 24/7 permanent operation. 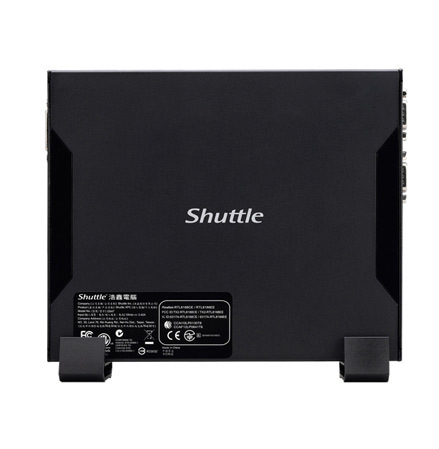 Thanks to Shuttle’s low power consumption design and provide a stable operating environment, this PC runs highly reliable making it perfectly suitable for digital signage or other vertical applications. 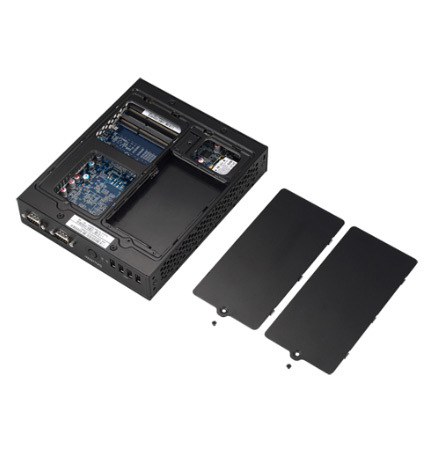 The exclusive integration low-power design and fan-less cooling, the DS47 costs only 65W of adapter in full use and can keep stable for long-time operation; Compared with traditional PCs, a nearly 40% noise reduction during the operation, it is particularly suited for noise sensitive environment such as hospitals and libraries.